DC Moore Gallery is pleased to present recent paintings by Eric Aho, who explores the natural world in visions mediated by human memory, introspection, imagination, and history. More broadly, Aho explores our tenuous ability to represent things seen, remembered, and embellished by our minds. “As he sees it,” Diana Tuite writes in the catalogue essay, “his task is to present immediacy remembered, to reconcile directness with introspection. How might the experience of the painting reciprocate the experience of that which it depicts?” His paintings suggest that imaginative flourishes and digressions are more vital and interesting than a supposedly accurate, “objective” rendering of a lived experience. In recent years, Aho has reinvented his process by abandoning plein-air painting in favor of the studio. As his physical practice moved indoors, so did his thoughts turn inward, to the way that distance, memory, and analysis affect our ability to recreate a fleeting moment—namely, an experience outdoors. As a result, Aho’s paintings convey the discrepancy between the vibrancy of a single moment, the vagaries of memory, and the indulgences of the imagination. Any vista is only ever observed in brief, and in parts—between the blinks of our eyes—and yet we can fill in the whole by using our past experiences as well as, in the case of Aho’s paintings, hundreds of years of art. Aho’s works tap into the particular beauty of an instant as well as the weight of personal and collective history on our interpretations of our surroundings. Aho’s art historical references derive from the modern as well as from grand tradition. While his powerful yet controlled brushstrokes evoke major postwar painters, Aho also responds to specific scenes and situations from Old Master works by Velazquez and Titian. In this way, Aho adds yet another mediating step between lived experience and the painted surface; in part, he looks at the present landscape through the lens of his predecessors. 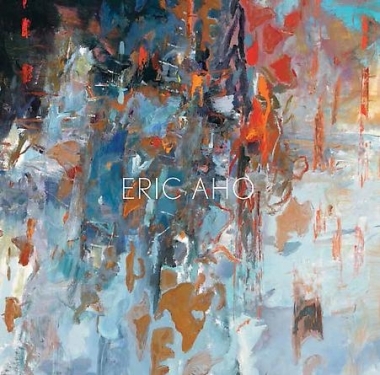 Eric Aho has had solo exhibitions in the U.S. and abroad. Eric Aho: In the Landscape is currently on view at the Federal Reserve Board, Washington, DC (through November 15, 2013). Other recent exhibitions include Transcending Nature: Paintings by Eric Aho at the Currier Museum of Art, New Hampshire (2012) and Eric Aho: Ice Box at the Brattleboro Museum and Art Center in Vermont (2009). His work is included in the permanent collections of The Metropolitan Museum of Art, New York; Fine Arts Museums of San Francisco, CA; Museum of Fine Arts, Boston, MA; National Academy Museum, New York; and Ogunquit Museum of American Art, ME, among others. Works by Aho have also been shown internationally in Ireland, South Africa, Cuba, Norway, and Finland, among others. Aho was elected Academician of the National Academy Museum in 2009. He lives and works in Saxtons River, Vermont. A 70-page catalogue with an essay by Diana Tuite, Katz Curator at the Colby College Museum of Art, will be available.